The World Bank has released a new report linking the economic slump in the Palestinian territories to an ebbing aid flow, ahead of a donors’ forum next week. The report, ”Fiscal Challenges and Long-term Economic Costs,” aims to inform talks at the annual spring meeting of the Ad Hoc Liaison Committee— the primary group that coordinates policies for development assistance to the Palestinian people — slated March 19 in Brussels. It sheds light on the grim condition of the Palestinian economy and its roots in declining donor assistance, among other factors. The report reveals that the Palestinian economy slowed down in 2012, despite significant economic growth in recent years. It, in part, blames the Palestinian Authority’s worsening fiscal stress on the lack of donor funding to offset higher-than-expected expenditures and lower-than-anticipated revenues. Budget support has been falling since 2008, in spite of the authority’s increased need for external support. Donor support to finance the recurrent budget deficit and development projects in 2012 were lower by 826 million New Israeli Shekel ($214 million) and 539 million New Israeli Shekel than anticipated, respectively. The Palestinian Authority’s development expenditures in 2012 were at 937 million New Israeli Shekel, while the total external support extended was only at 3.59 billion New Israeli Shekel. 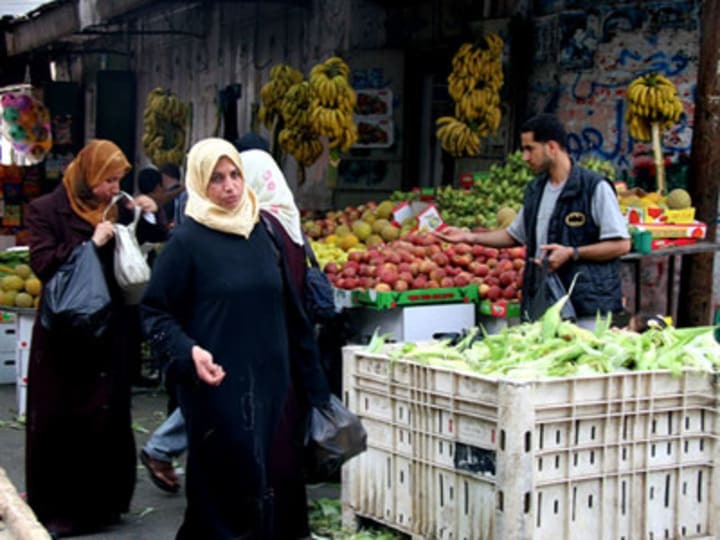 In 2013, the Palestinian economic slump is seen to remain, with foreign aid to the public sector not expected to rise enough to balance the adverse effects of Israeli economic restrictions to private sector growth. The solution, according to the World Bank: a boost in donor funding and continuous reforms by the Palestinian Authority to hike up revenues and cut expenditures. At the upcoming meeting, AHLC’s 15 members will address the Palestinian Authority’s grave financial situation and 2013 outlook, with a view toward boosting the regularity and predictability of financial resources to the Palestinian Authority, bolstering PA’s fiscal sustainability, improving the situation in the Gaza Strip, lifting private sector-led growth, advancing access and movement within the Palestinian territories, and supporting Palestinian exports.